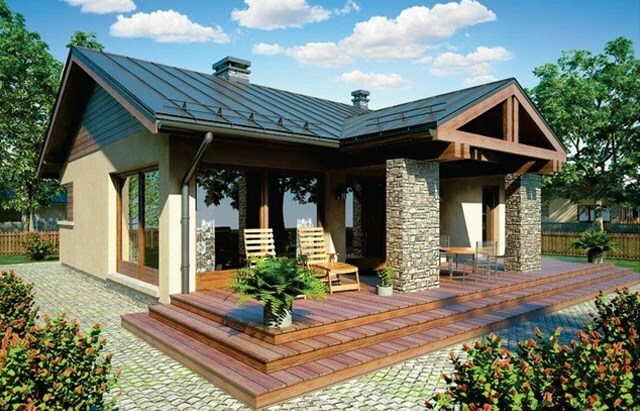 The first project is a house with a ground footprint of 114 square meters. The house draws through an ingenious architecture that consists of a harmonious game of shapes and colors: arches, a bay, skylights and wooden-edged balconies. On the ground floor you can find the living spaces, each with access to the side terraces, while upstairs there are two bedrooms opening outward through beautiful balconies. 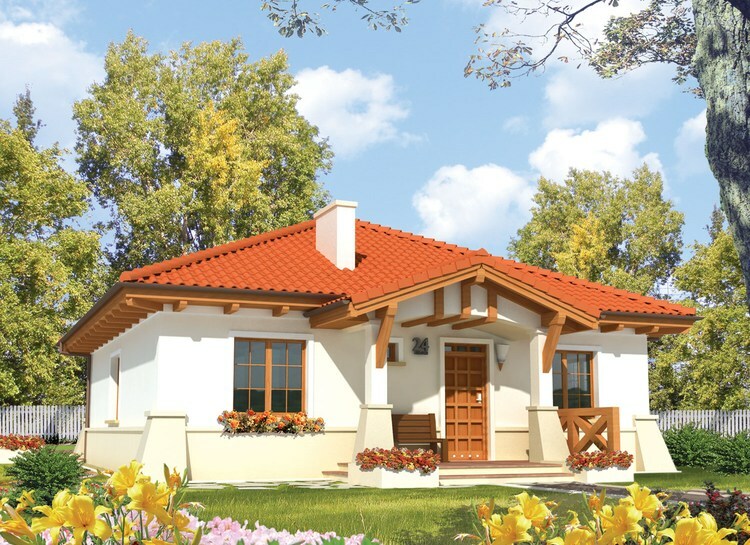 The key price for this construction is 51,000 euros. 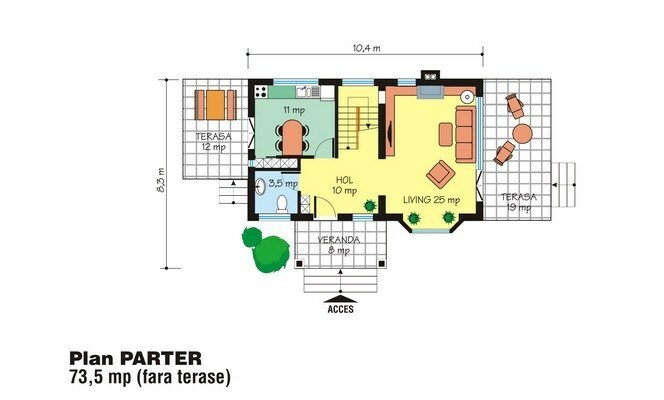 The second example we have chosen is a house with a useful area of almost 83 square meters. The construction displays strong contrasts between the ceramic roof and plastered facades, with wooden elements that add refinement. 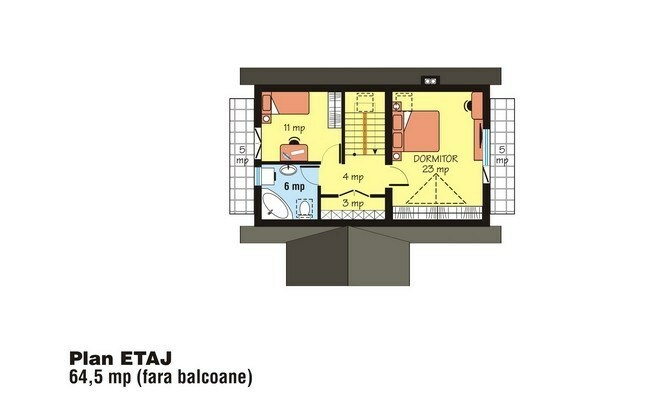 Two bedrooms and two bathrooms occupy half of space, the other being reserved for the living area and a technical room. 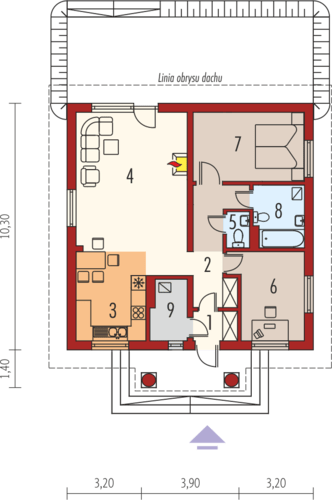 The estimated price for this House starts at 450 euros per square metre built. 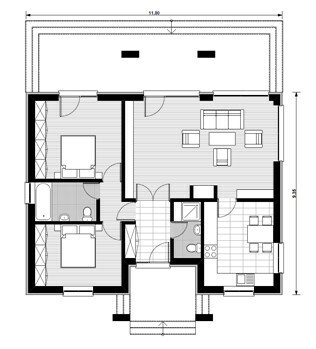 The last example is a house with ground floor and a ground footprint of 87 square meters. The house has a traditional design with an embossed porch, supported by beautiful stone columns, which captures attention. 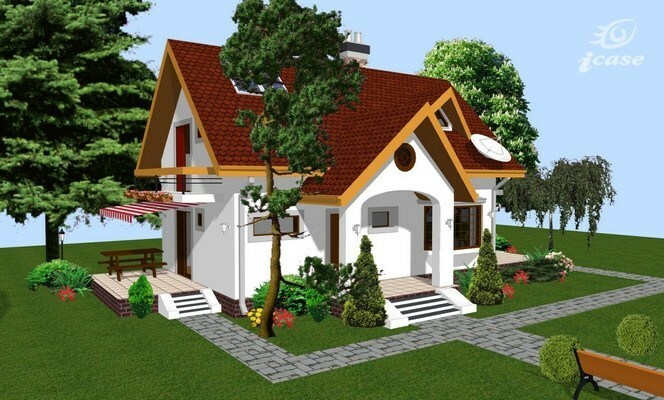 As for the sharing, the plan proposes a living room, a kitchen, and a dining room, a bathroom and two bedrooms.